These are the calibration settings that were used to review the LG UH6100. These settings are best for watching movies. 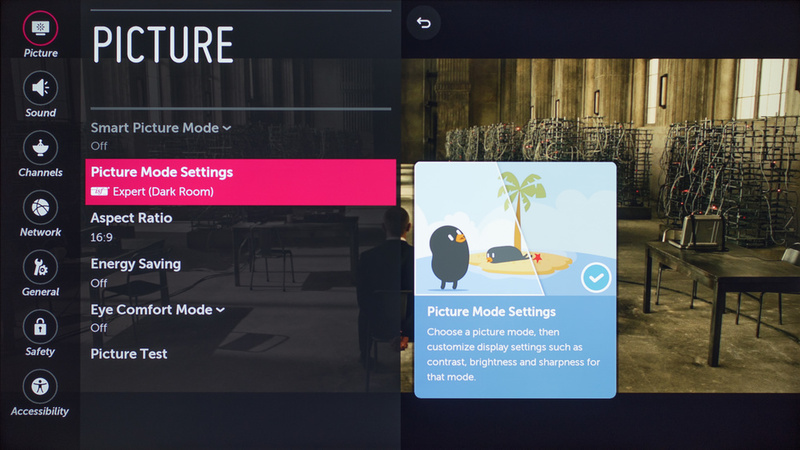 For playing video games, first change the input icon to 'Game Console' and 'Picture Mode' to 'Game' before copying the remainder of the settings below. This will provide the lowest input lag. For use as a PC monitor, change the input icon to 'PC' to enable chroma support for clear text. 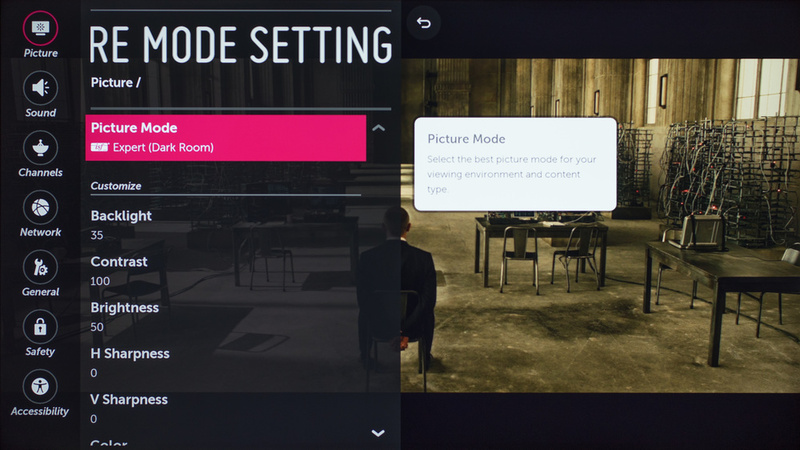 To begin, select 'Expert (Dark Room)' for the 'Picture Mode'. For our completely dark room, we set the backlight to 35. This can be adjusted to match your environment without affecting the colors. For bright rooms, increase the backlight to combat glare and reflections. We also adjusted the 'Contrast' to 100 as it provided us the closest gamma curve to our calibration goal. 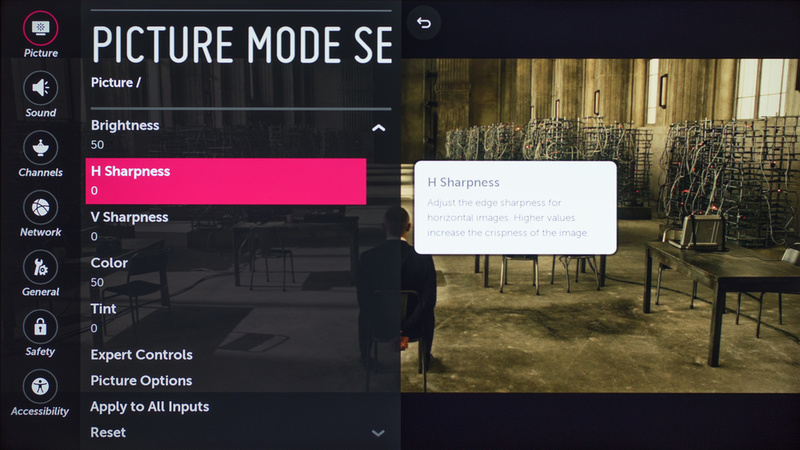 To remove over sharpening, we adjusted the 'H Sharpness'and the 'V Sharpness' to 0. 'Color' and 'Tint' were left at their default values. We remove the image processing, to achieve the most true image. We also put the 'Color Gamut' to normal and put the 'Gamma' setting to 2.2 as it was the closest match to our calibration goal. If you find blacks are crushed, you can reduce the 'Gamma' to 1.9. 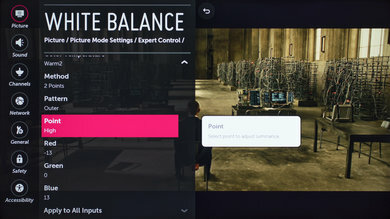 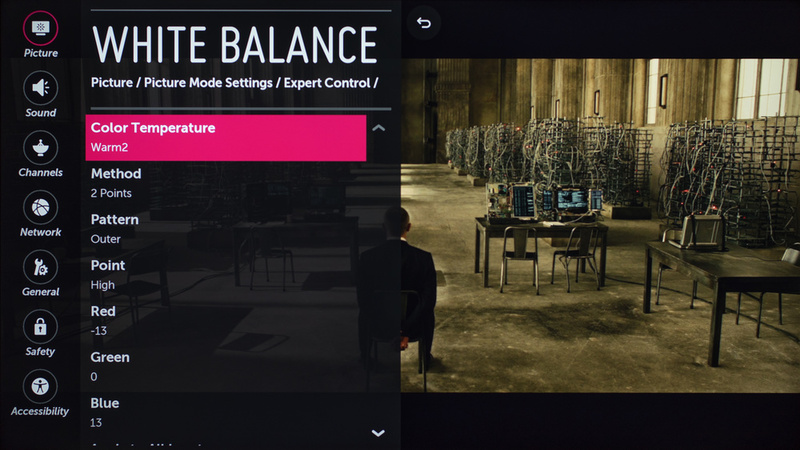 For the white balance, we use the 'Warm2' color temperature, as it is closest to our calibration goal of 6500K.